Earlier this year, I wrote that STEM (science, technology, engineering, and math) toys would be taking over the aisles this holiday season. As we head into the prime holiday buying time, we see toys that teach these core curriculum topics arriving in a big way. Let's first look at why these toys are so important for our kids. The four core subjects in STEM learning are so often the most intimidating ones for our kids to grasp in the classroom. If they have the choice to take another class, or to find the "easy way out," they'll take it. Think about how often we hear (or even groaned ourselves), "But I'll never use this as a grown up." But STEM toys matter. The best teachers that you had growing up were the ones that made you love the subject, and great toys can have the same effect. When it's fun, it's interesting and engaging for kids; they keep playing and, therefore, learning. By first introducing these intimidating subjects through play, kids can gain the basic skills to feel confident as they head into the classroom -- and even later when they choose career paths. The SmartMax Mega Ball Run, from Smart Toys & Games, allows our youngest learners to create water parks, jungle gyms, and so much more through construction play. 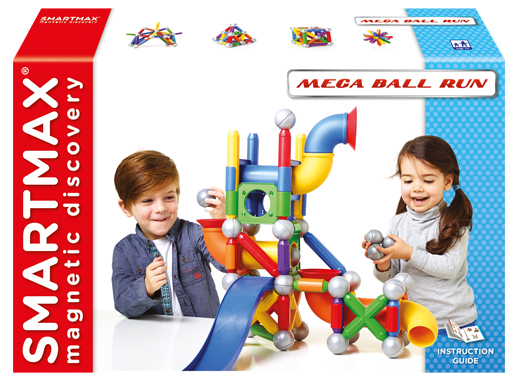 The big set includes a slide; colorful small, medium, and large magnetic bars; brightly colored tubes; and metallic balls. The large, easy-to-manipulate pieces help kids ages 3 and up safely explore constructions and magnets. Plus, all SmartMax sets are compatible, so creative building grows as you combine sets. 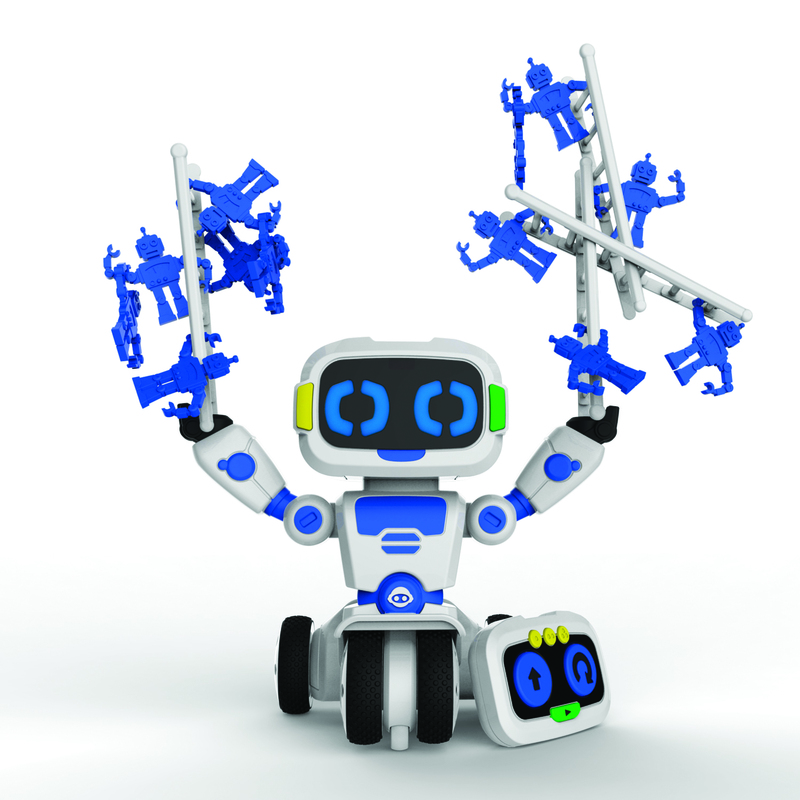 WowWee's Tipster introduces kids to their first entry-level robot. Tipster loves to play, move around, balance, and more. Kids as young as 4 can experiment with weights and balancing using mini-Tipster character pieces and ladders. This robot helps hone kids' motor skills in an unforced, approachable way that promotes learning. Companies such as GoldieBlox understand that STEM learning is gender-neutral, although men outnumber women greatly in related professional fields. GoldieBlox toys are designed to help even out that playing field, with products that are targeted to approach these subjects through the ways that girls learn, such as through strong verbal skills. The new GoldieBlox and the Builder's Survival kit, for girls ages 7 and up, offers endless building possibilities. Goldie's included Field Notes provide a wide-eyed perspective of Goldie's world, her friends and family, and blueprints to create Goldie's inventions with the freedom for builders to choose their own difficulty level. Kahootz Toys brings back The Original Super Spirograph Set with classic interchangeable Spiro-Tracks that let kids ages 8 and up create their own patterns and shapes. 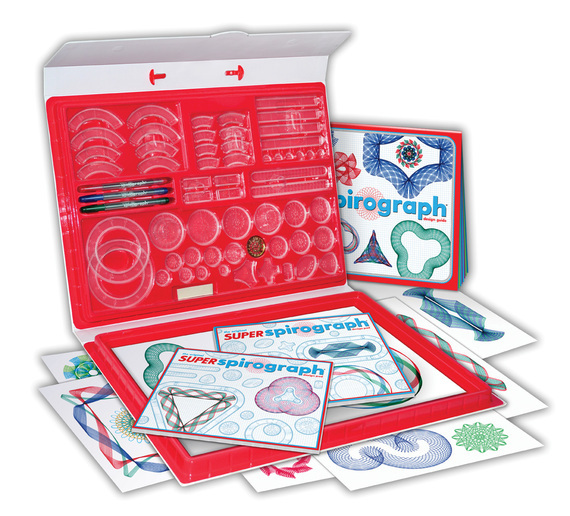 Originally developed to be an engineering tool, Spirograph teaches kids to create geometric designs with this 75-piece set. With a 24-page guidebook and durable storage case with a built-in work desk, this set is perfect for creative minds on the go. 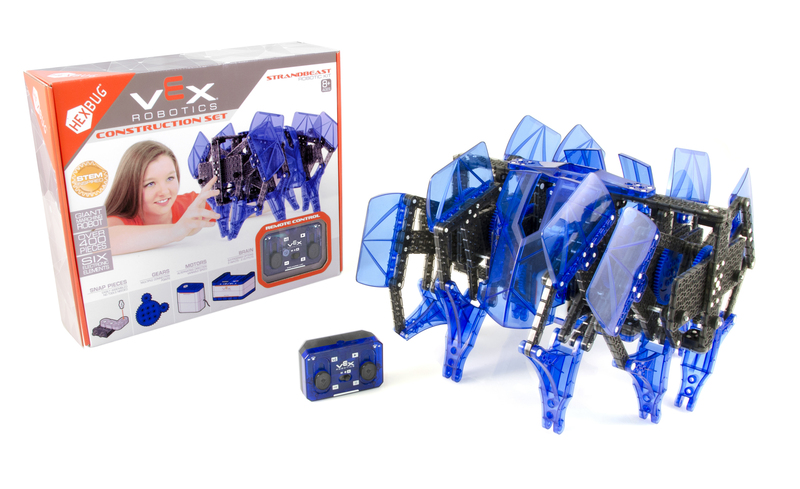 The Hexbug VEX Robotics line is a standout item in the STEM category. Kids ages 8 and up can design and build a jumbo-sized robot while learning about motors, sensors, and gears, and how they all function and work together. The robots snap together using intuitive tool-less components, fostering STEM learning through hands-on play. They also feature 64 different programming variations, teaching kids all about a robot's brain, the centralized computer that powers the robot, and how the creature is brought to life. 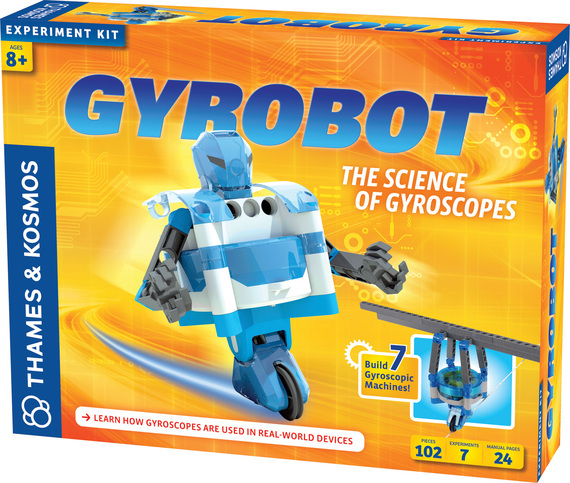 Gyrobot: The Science of Gyroscopes is a kit from Thames & Kosmos that teaches kids about the physical science principles that keep a robot balanced as it appears to defy gravity. By constructing seven different models with the motorized gyroscope unit, young engineers ages 8 and up can experiment with and learn about the science of gyroscopic devices and the indispensable role they play in our lives. Models that kids can build include a gyroscopic robot, a balancing personal vehicle, an artificial horizon, a gyrocompass, a balancing game, a tightrope walker (my favorite! ), and a flight simulator. The toy aisles are full of other great toys that make STEM concepts feel more approachable for kids, allowing them to feel confident as they walk into a classroom. STEM is a major part of playtime -- and that won't be changing any time soon. Watch this trend continue to grow in your toy store aisle through next year, and join in on the fun! You'll be amazed by what these toys can do.